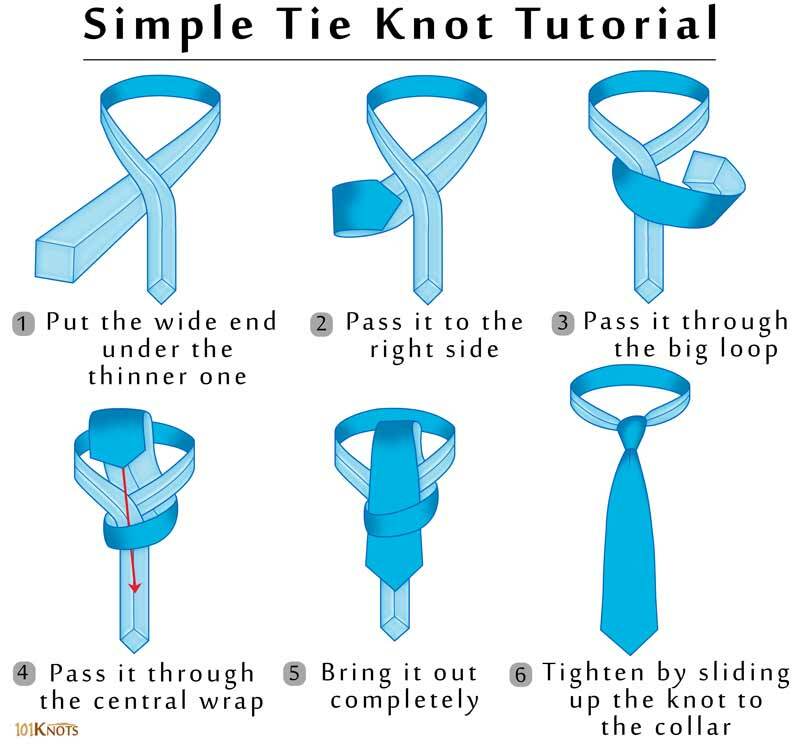 The simple knot, also known as the small or Oriental knot is the easiest to learn and tie. Though not much popular in the West it is widely used in China. It is perfect for tall guys who need some extra length out of their normal size ties. You should wear it on neckties made of thick fabric. It is not suitable for wide-spaced or long collars. The instructions involve mirror images. 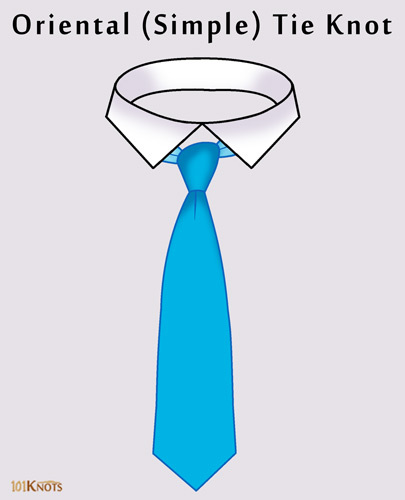 Make a note of the front and reverse side of necktie while going through the instructions. It looks good with narrow spread or button down collars. If you like to wear skinny ties, go for this one. Remember to complement it with a skinny suit having a lapel width of maximum 2”. Not being a very formal knot, you need not tighten it too much in the last step. In fact, if you are wearing it for casual occasions you may as well loosen it out a little.